Travel photography from Botswana's Okavango Delta, Moremi Game Reserve and Makgadikgadi Pans National Park. Includes stays at Camp Xakanaxa, Camp Okavango and Camp Leroo La Tau. Read more: Botswana: First Impressions and Disconnecting in the Okavango Delta. 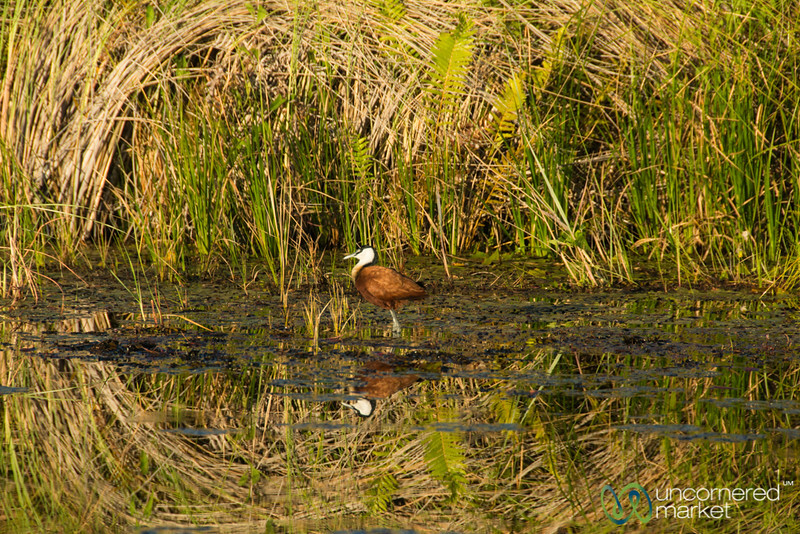 The African Jacana (or Jesus bird) along Khwai River near Camp Xakanaxa, Botswana.